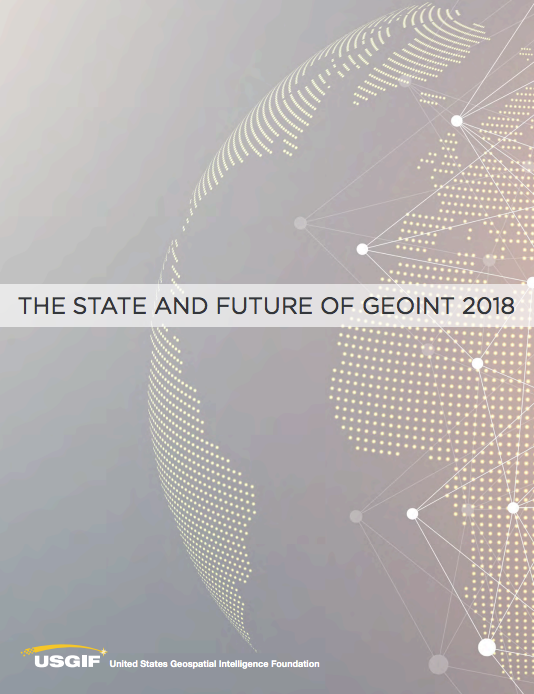 In the 2018 State and Future of GEOINT Report published by the The United States Geospatial Intelligence Foundation (USGIF) we had a paper accepted entitled “The Future of GEOINT: Data Science Will Not Be Enough“. In the paper we discuss how there has been a deluge of spatial-temporally enabled data in the last several years with no signs of slowing down (e.g. by the year 2020, many experts predict the global universe of accessible data to be on the order of 44 zettabytes—44 trillion gigabytes). With this growth in data there has been steady uptake of data scientists in the GEOINT community because of their ability to navigate petabytes of raw and unstructured data, then clean, analyze, and visualize the data. However, we argue that we must go beyond just statistically analyzing data collected on the world around us to truly gain an understanding of the people who inhabit the world. 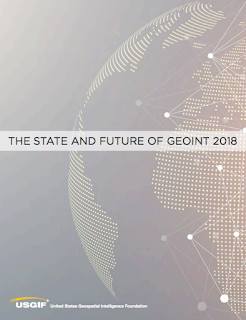 In order to do this, we suggest that future GEOINT analysts should not only have skills in data science but also be able to apply advanced computational methods, such as agent-based modeling, social network analysis, geographic information science, and deep learning algorithms (i.e. geospatial computational social science) to explore and test hypotheses based on social and geographic theory to truly achieve an understanding of human interactions.